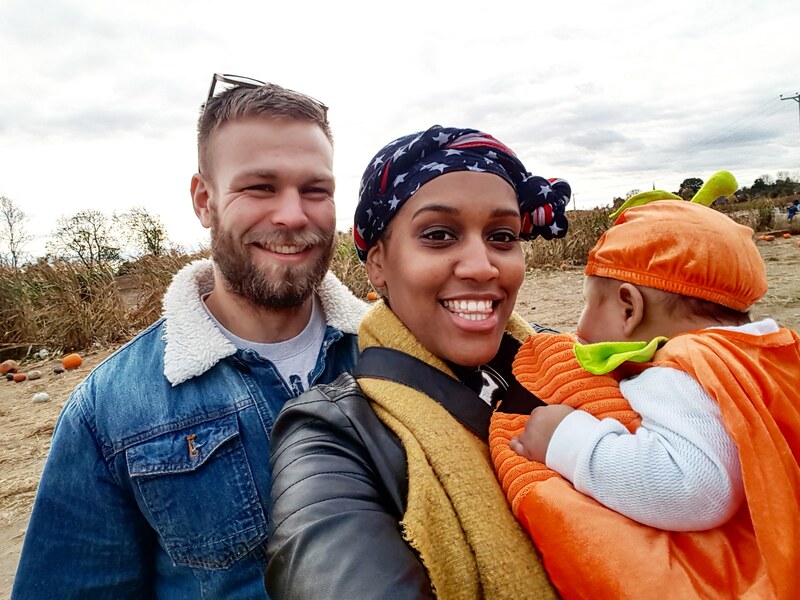 At the weekend my partner the baby and I went pumpkin picking down at Foxes farm in Colchester. 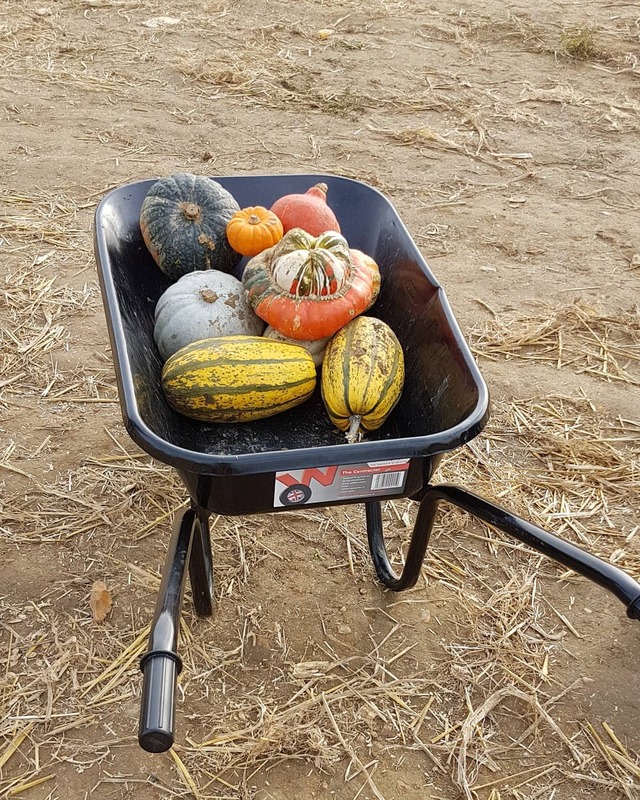 Apparently going to a pumpkin patch just isn’t exciting enough for my teenage daughter so she went to her boyfriend’s instead (she pretty much lives there these days). 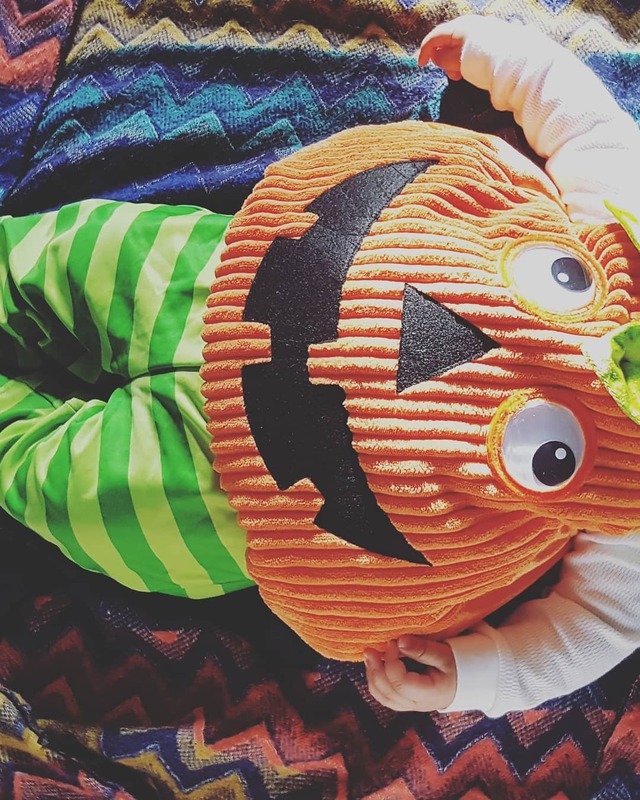 As you can see by this amazing photograph my poor baby boy was dressed in the most impractical but adorable fancy dress outfit. The trousers were silky making him extra slippy and the oversize body would rise up sometimes. He didn’t mind wearing it he’s really good with wearing clothing, hats and fancy dress nothing seems to phase him at all. The farm was easy to find and when we got there it was coordinated with staff directing us to a parking space. Inside there were photos of all the different types of squash available and what you can do with them. There was a lot of people there but not so much so that you couldn’t get about. In the field were piles of different squash and pumpkins with haybales stacked up which you could sit on for a nice photo opportunity. We managed to get some lovely photographs even if the baby didn’t appear to be impressed that he was the only one dressed up and made to sit in a wheelbarrow for the amusement of his parents. It will make a great photo to go on his 18th birthday cake. 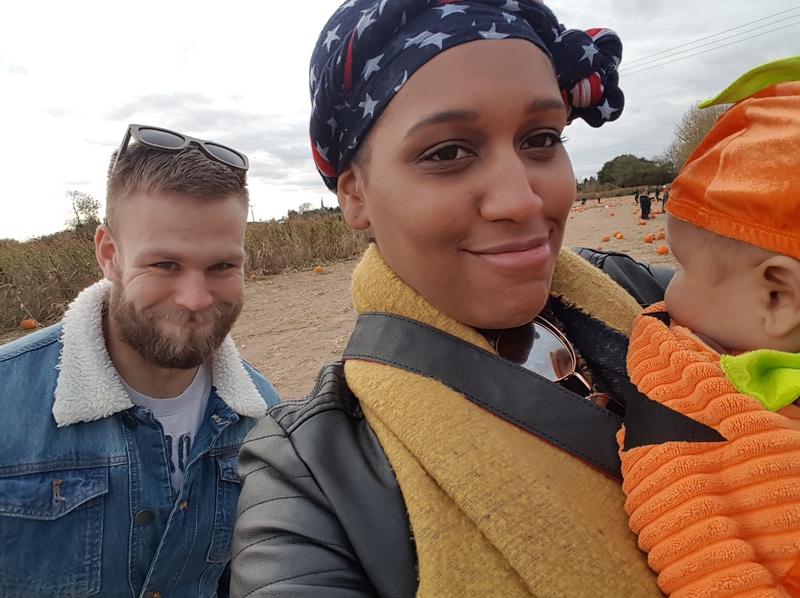 We definitely enjoyed our time down the farm and come next year our baby boy will hopefully be running around and can help pick out the pumpkins and squash himself. We will go earlier in the month too so that we have better opportunity to pick a wider variety and better quality. We found there were a lot of smashed produce but this was due to a few children throwing them at the ground and at each other which was a shame. 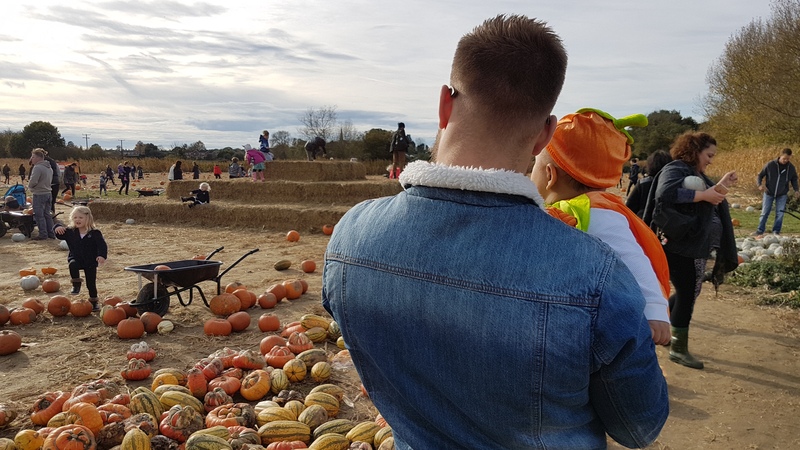 Overall I’d recommend pumpkin picking as a nice little family activity.